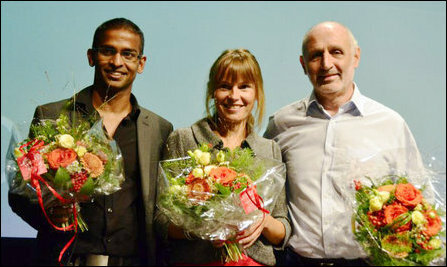 Mr Lathan Suntharalingam, who has been in the mainstream politics in the canton for the past 8 years, was elected to the leading committee of the party with Mrs Vera Ziswiler and Mr Mario Carera. The SP party is the second largest of the four leading coalition political parties and has won 19,5 % of the popular vote in the national legislature of the confederation in the last elections. Switzerland is a confederation consisting of 20 cantons and 6 half cantons. All the 26 cantons in the Swiss Conferation remain sovereign with widely differing constitutions. The bicameral legislature, or Federal Assembly, consists of the 46-seat Council of States, with two members from each canton and one from each half canton, and the 200-seat National Council, whose members are popularly elected. The SP party is represented with 43 of the 200 seats in the national council. Lathan Suntharalingam, studying international Law, has also been active in legal projects related to Eezham Tamils at European level. He was one of the four initial signatories introducing the Tamil Sovereignty Cogntion declaration in November 2011.